One of the best edging plants. 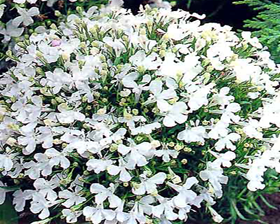 Intense dainty, crystal white flowers, 1 cm across, cover compact plants continuously until frost. Attractive bronze-leaved foliage.